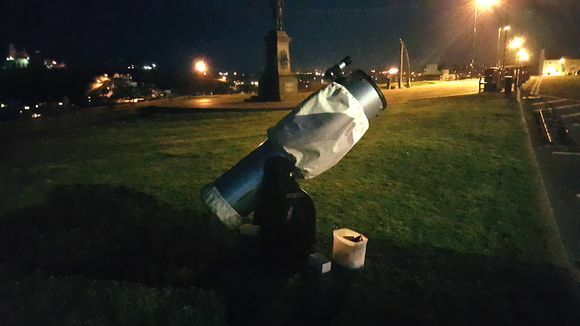 Mark totally forgot he’d provisionally scheduled a star party for May 14th – a clear evening as it turned out. Apologies therefore to Warren who single-handedly manned the telescope, and anyone else who turned out on the cliff to view Jupiter and the moon. Apparently views were very good. Mark has slapped his hands, and was sent to bed without any supper.